Tapa is the name used for bark cloth in the Cook Islands. In the northern Cook Islands the paper mulberry did not grow well. But it did grow in the southern Cook Islands and was made into tapa there. As in other Polynesian islands, the breadfruit tree bark and banyan bark were also used to make tapa. In the southern Cooks tapa was felted into a single layer, with no sign of joining. Decorating the finished tapa was done with freehand painting, immersion in dye baths, or it was cut with designs in a patterned motif. The rubbing method using design tablets was not used in the Cook Islands. Diamond motifs, which were “associated with the sacred world of the gods,” were applied on masks using the freehand painting method. Masks were made and decorated in Mangaia and Rarotonga and they were used in pageants called eva, to remember gods and cultural heroes. These ceremonies also were performed in association with mourning. Tiputa was worn as clothing in the Cook Islands, in the Tahitian style that is believed to have been the result of the strong missionary influence. The tiputa was fashioned as a long piece of tapa that had a hole cut into the middle to be worn on the body like a poncho. Pants were made too. Articles of clothing were cut at the edges in fringes and cuts were made throughout the article in repetitive patterns, as in Futuna. 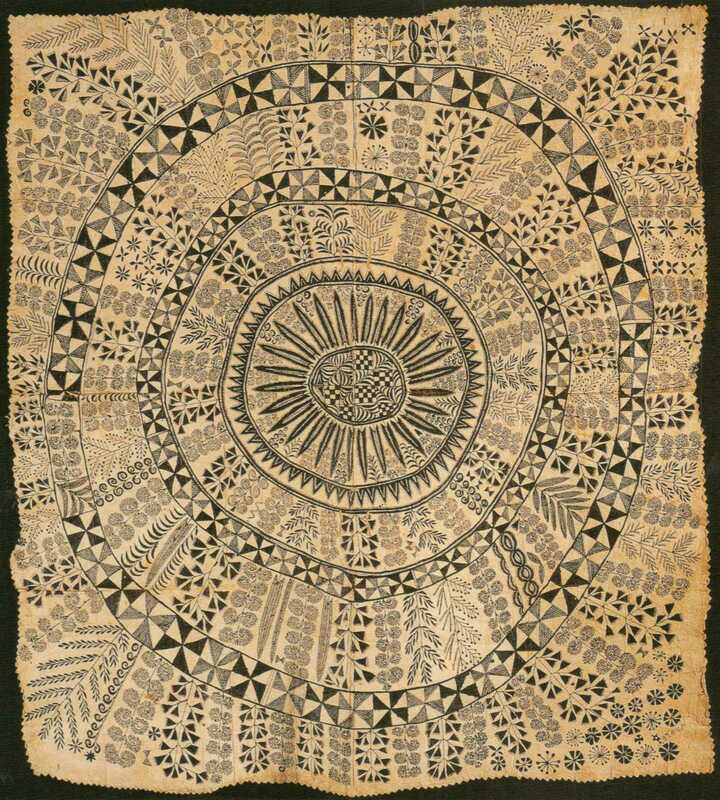 In the Cook Islands, as elsewhere in Polynesia, making bark cloth was done by women. However, a special, heavier, white cloth called tikoru was made by men. This was a special ceremonial bark cloth that was used to wrap around god images and was the attire of priests and high chiefs. This use may reflect the connection to spiritual beliefs that the chief and priests are descendant from the gods themselves.